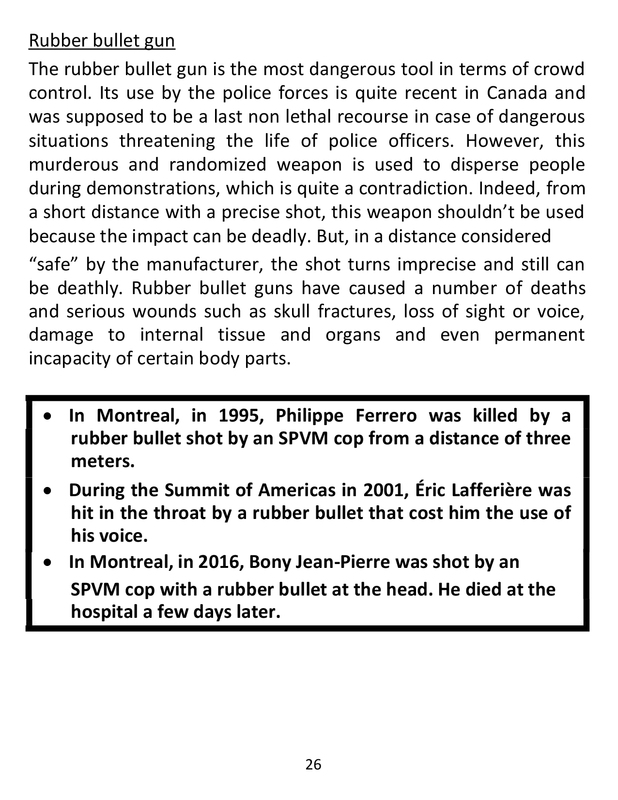 Brochure ''Guess What! 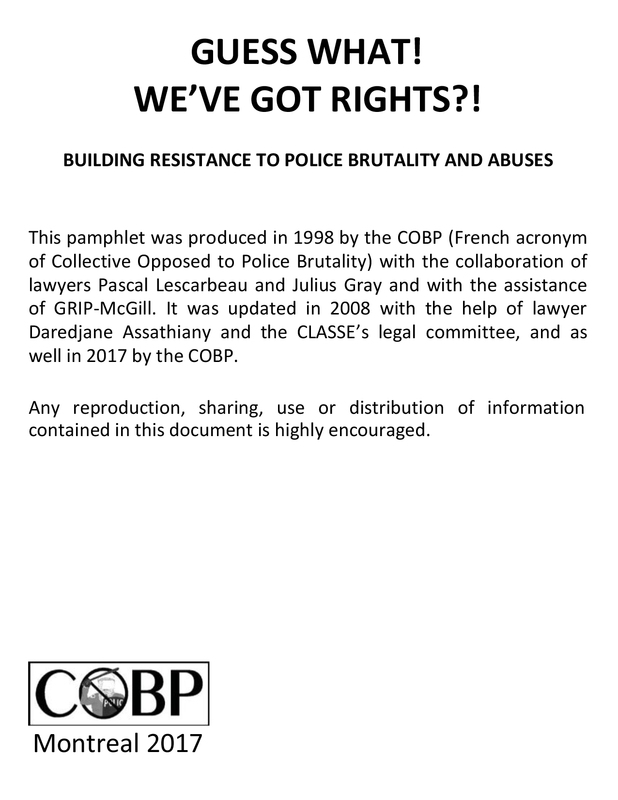 We've Got Rights!?'' 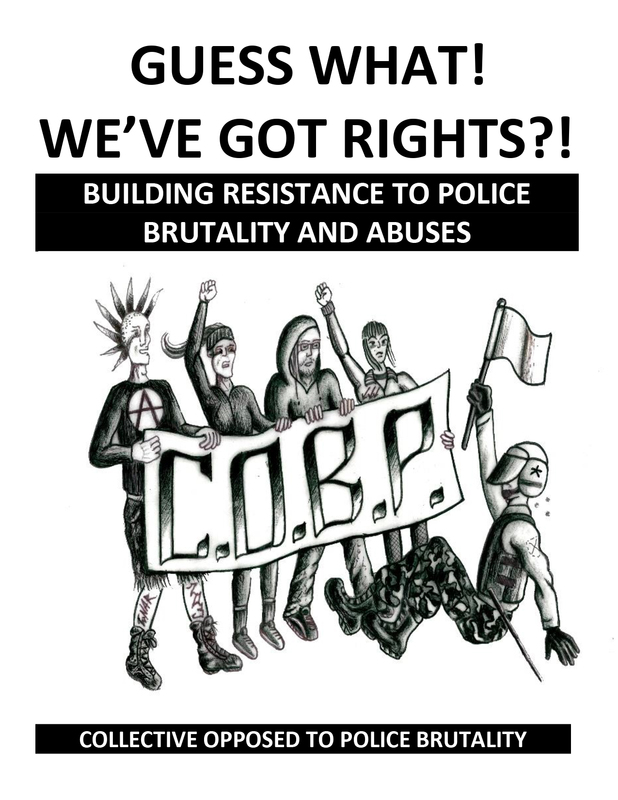 | C.O.B.P. 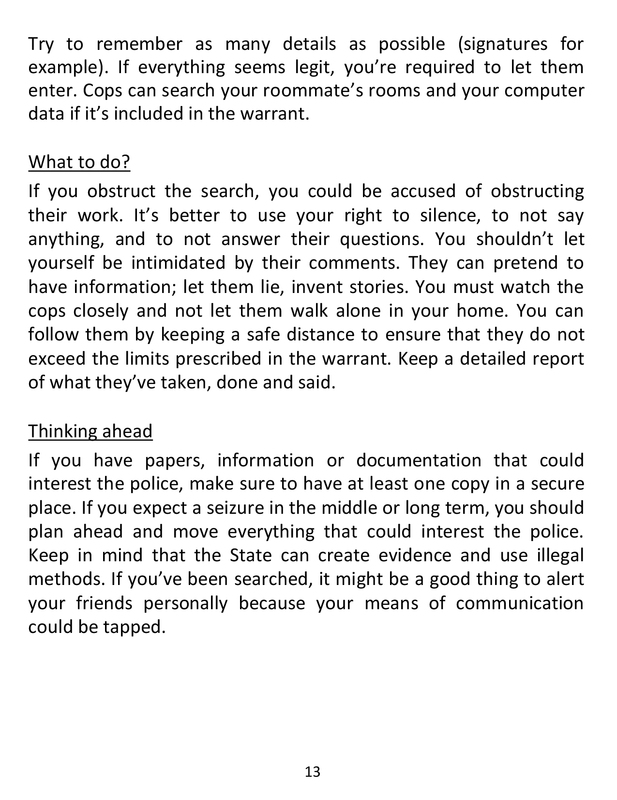 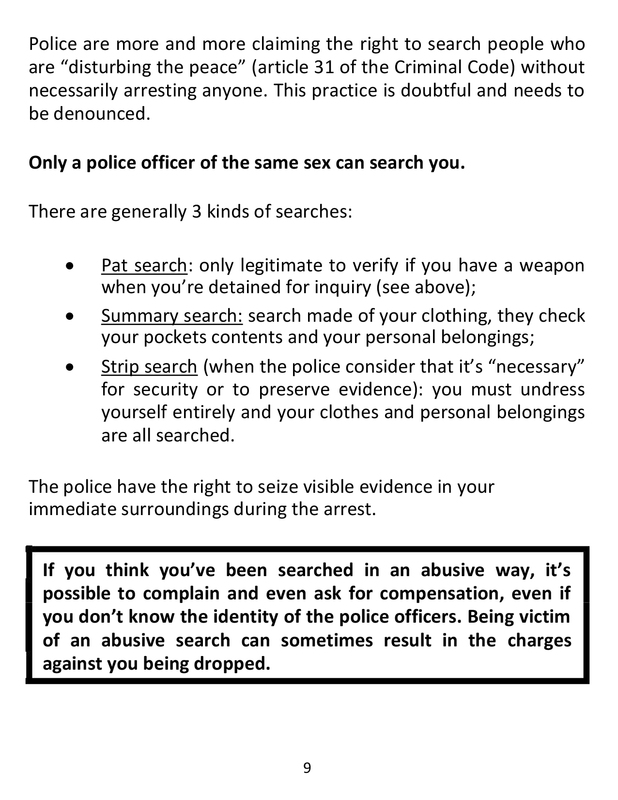 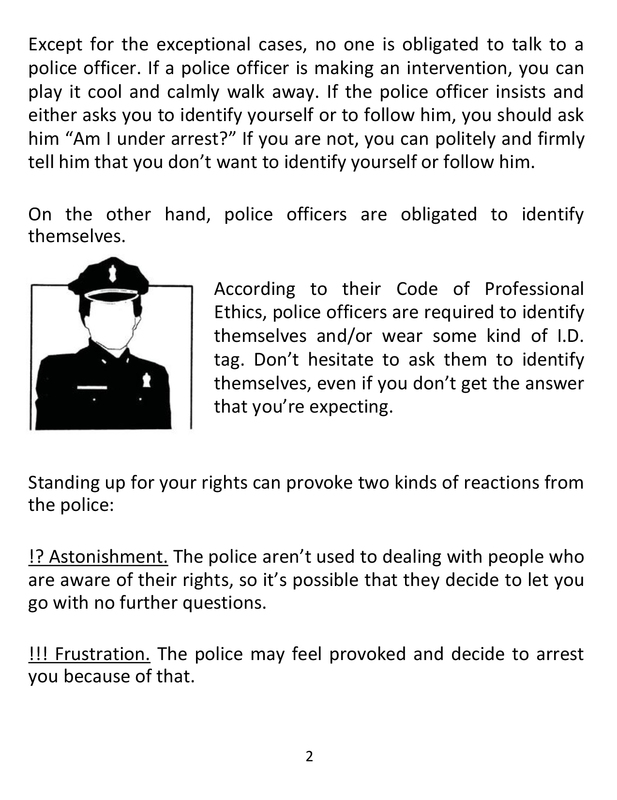 We count on ourselves to know our rights and enforce them. 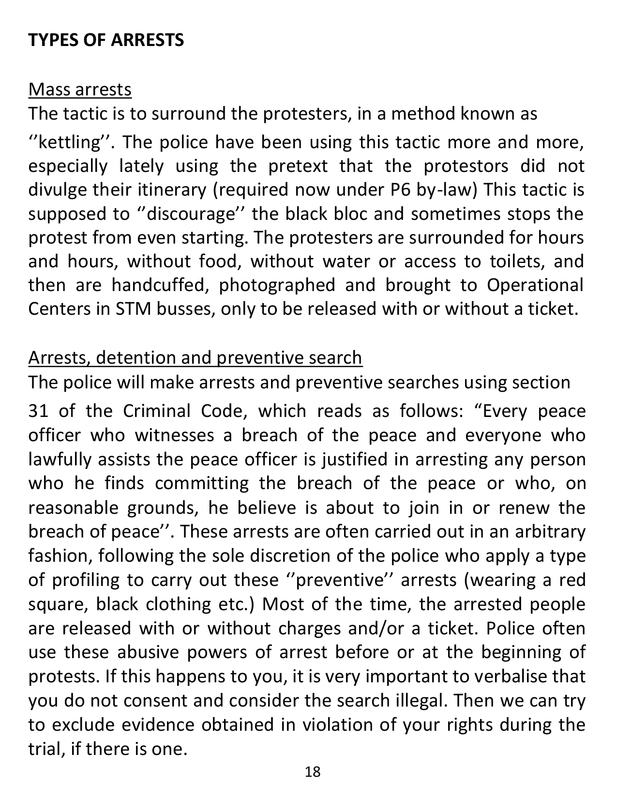 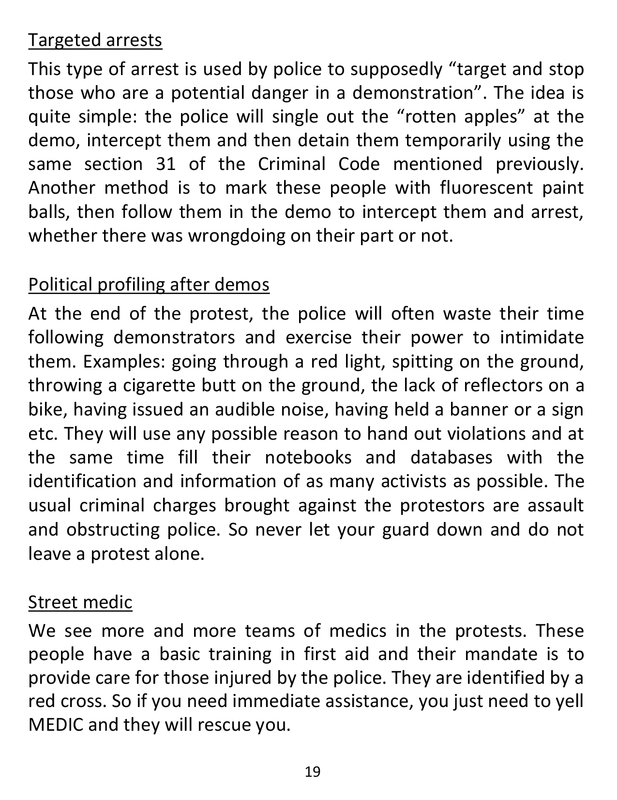 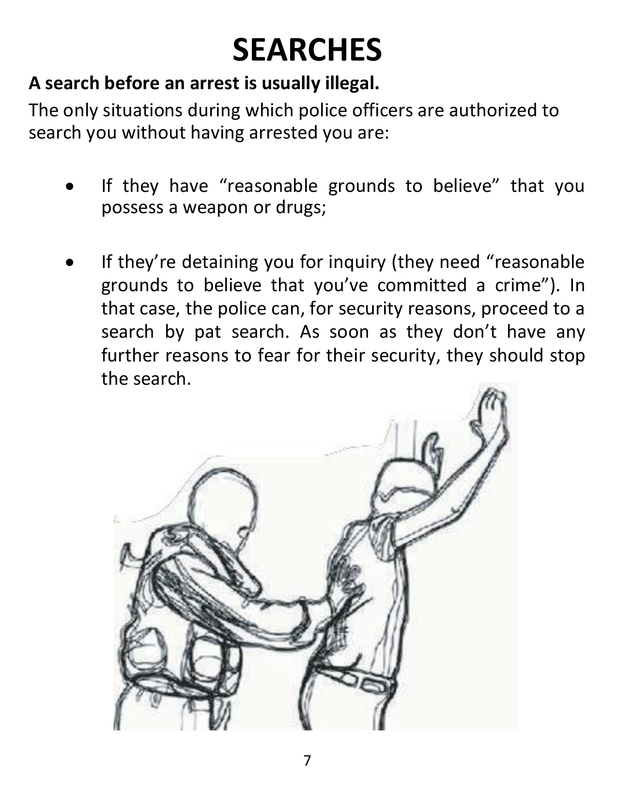 Police abuse of his power almost always especially towards non-conventional people, the poor, the young and those who question the authorities. 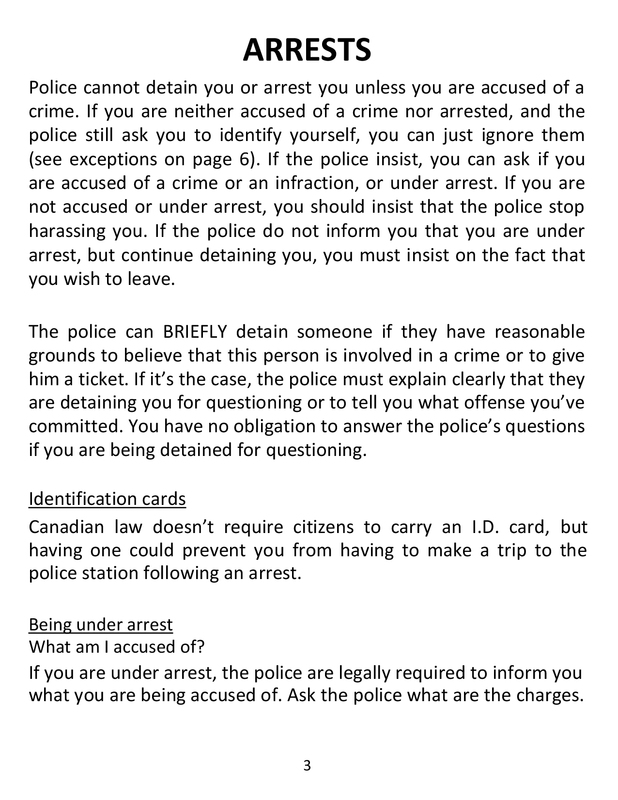 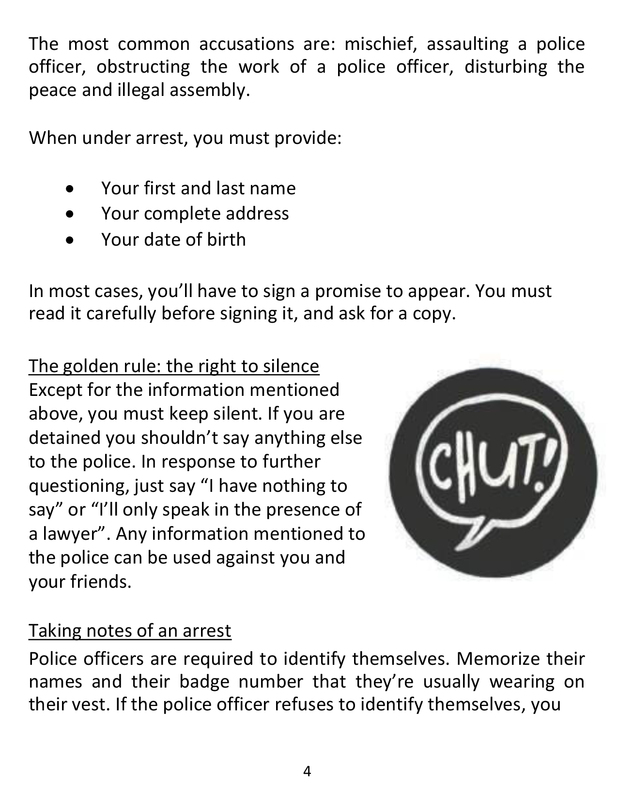 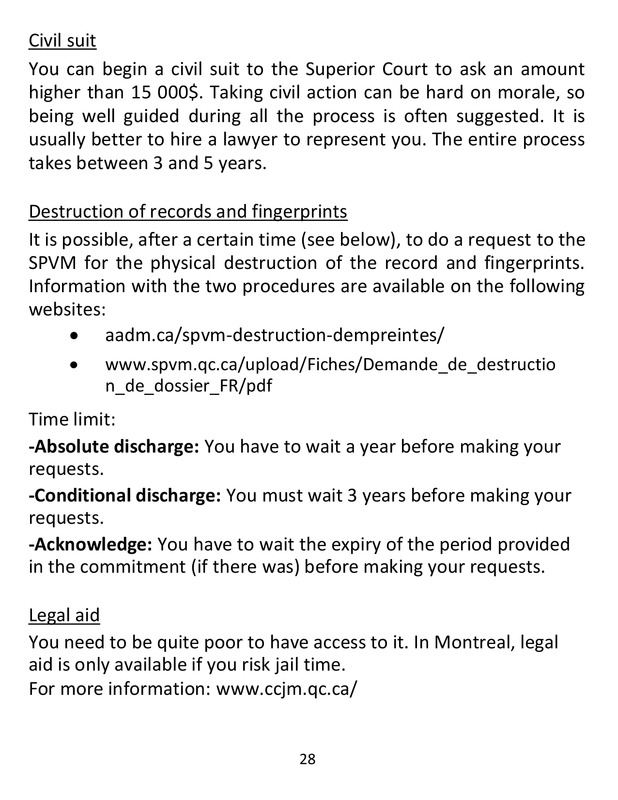 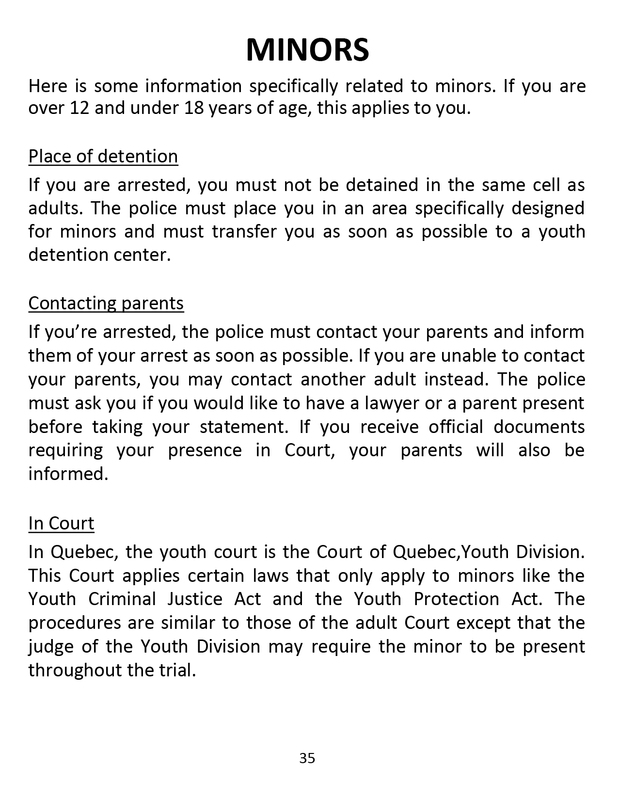 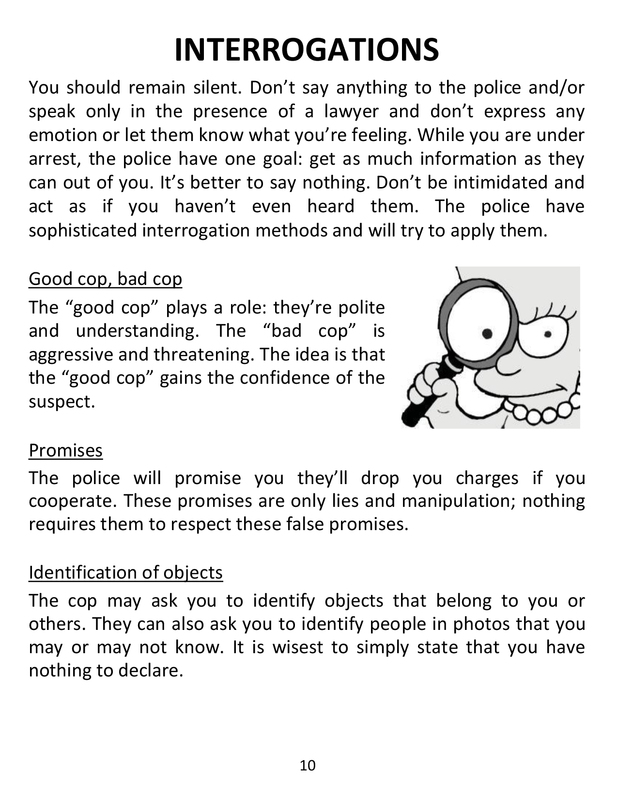 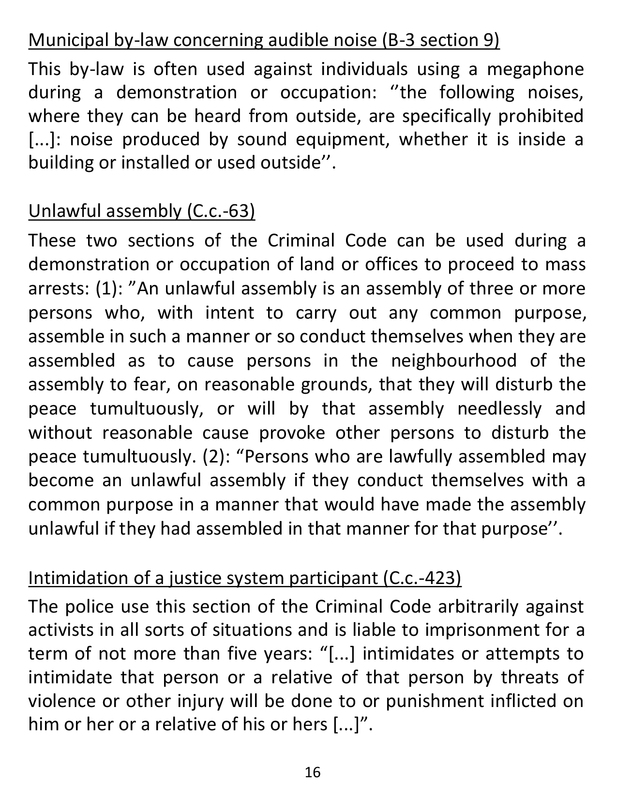 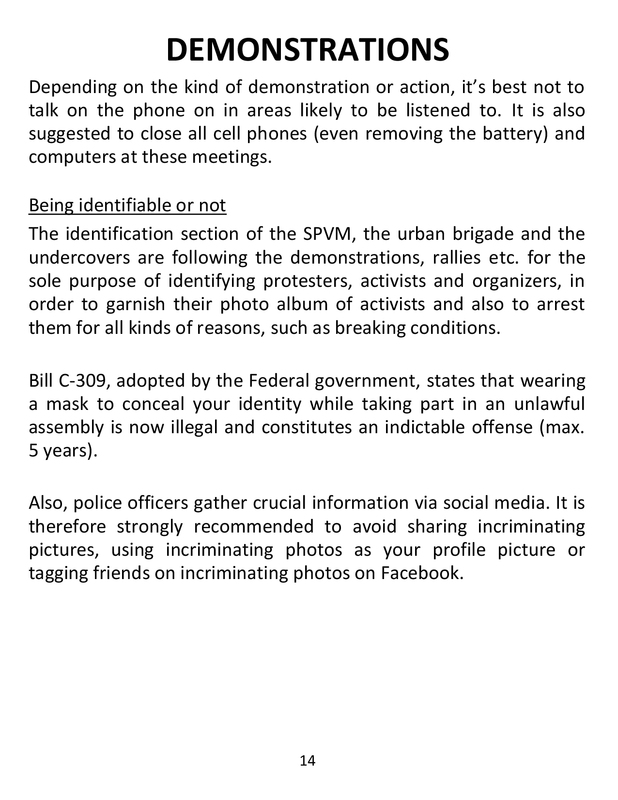 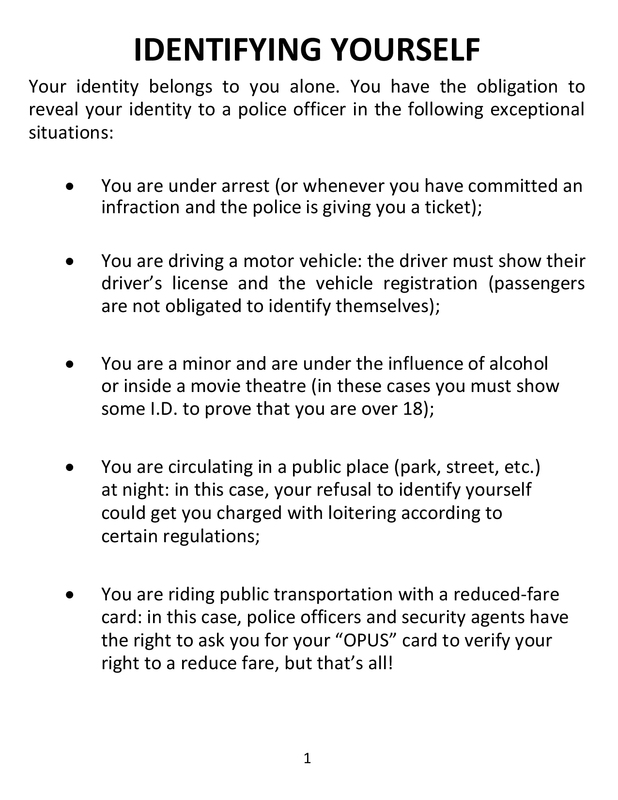 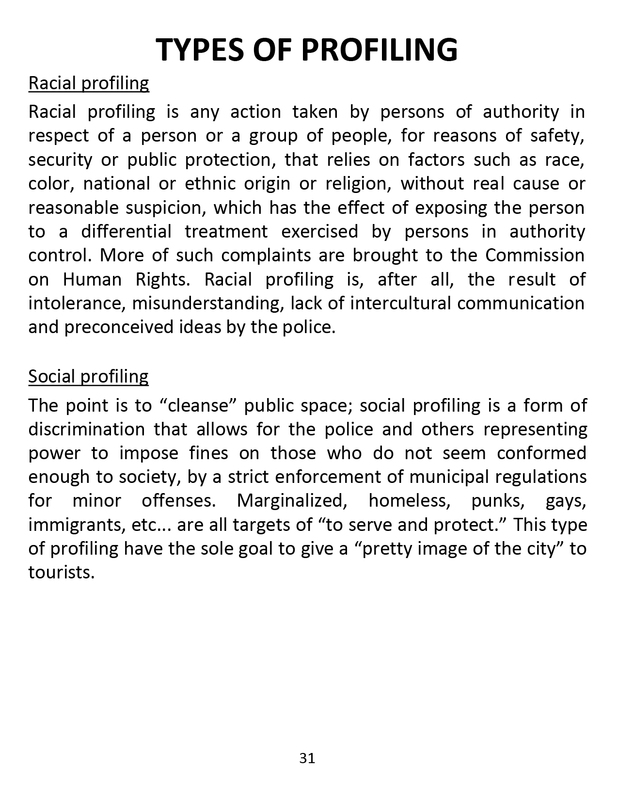 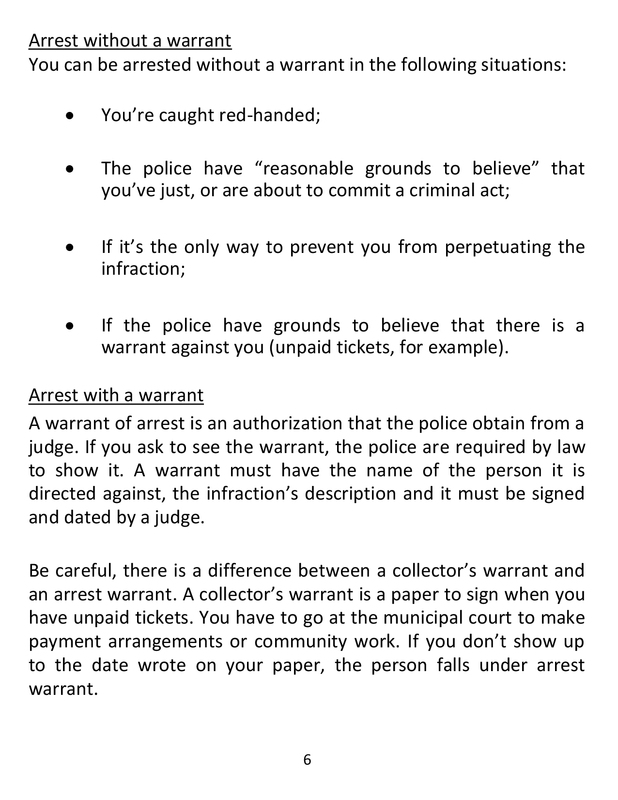 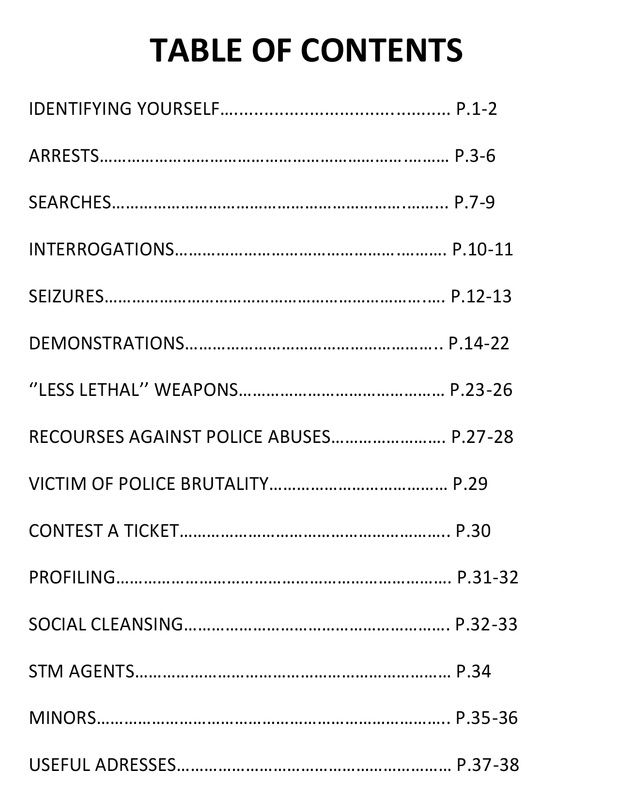 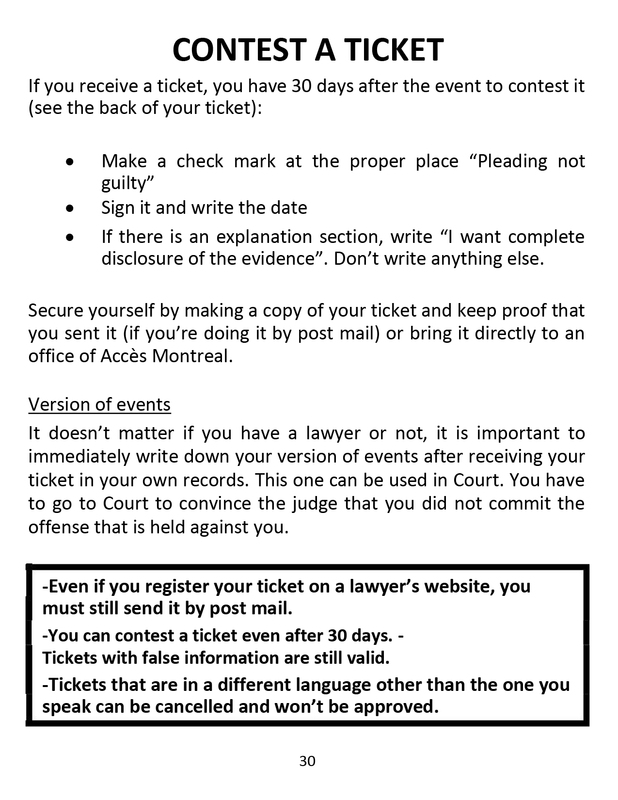 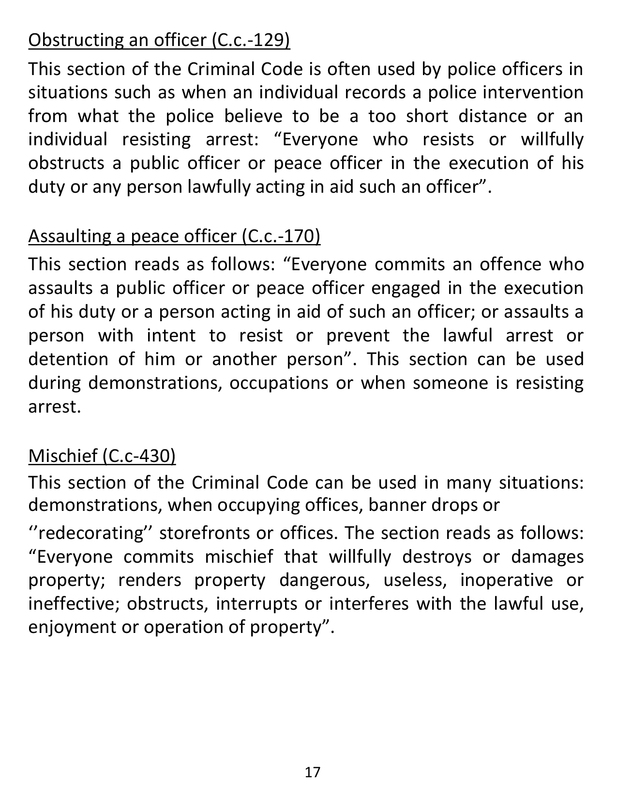 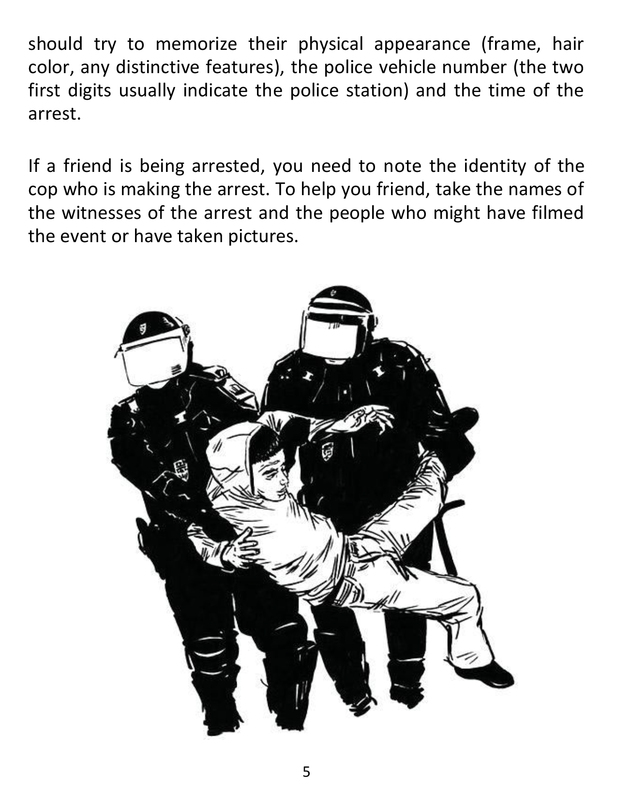 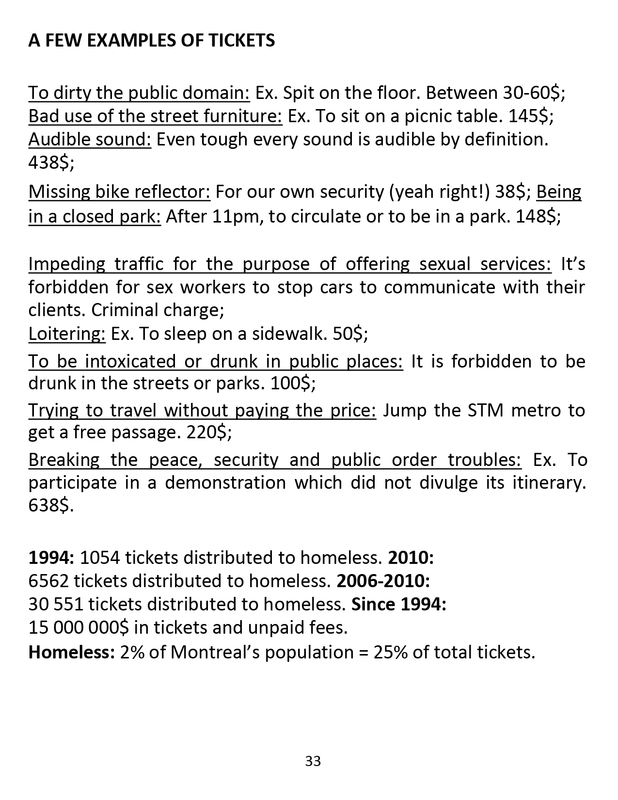 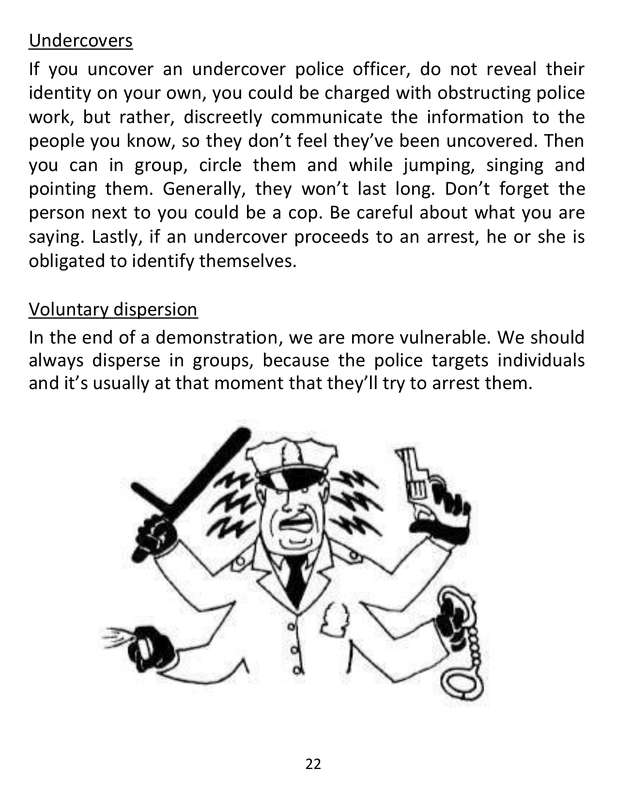 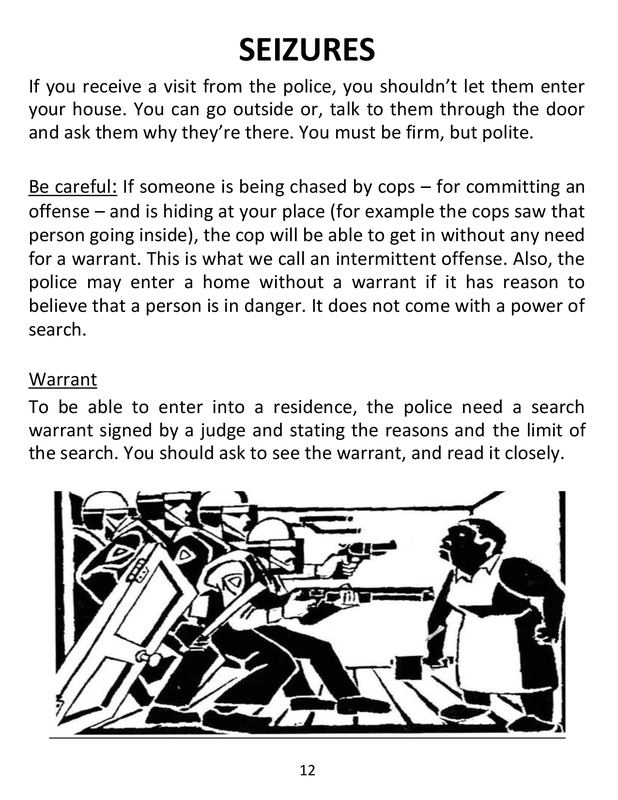 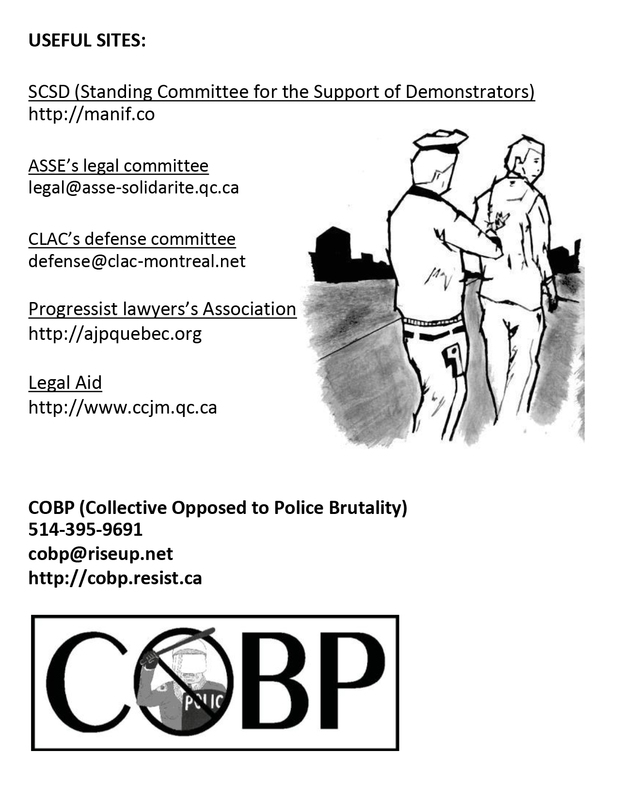 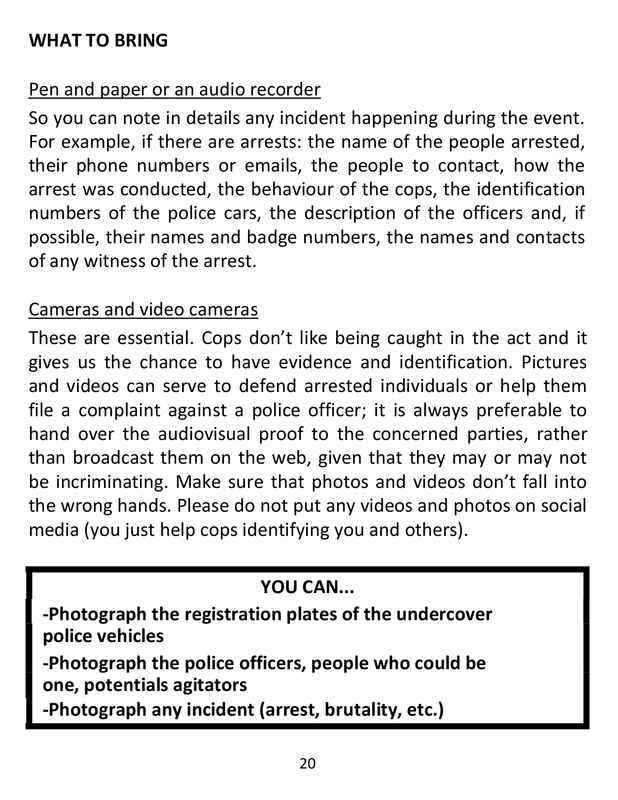 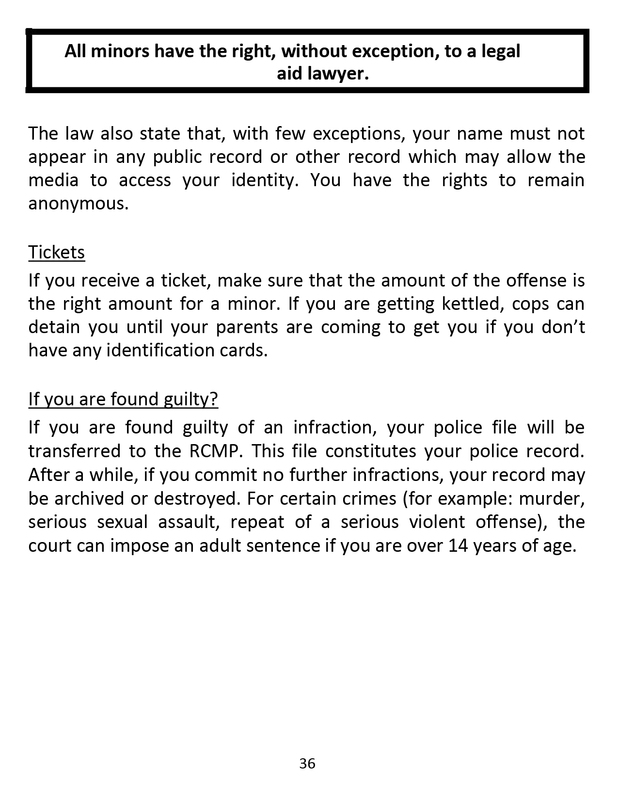 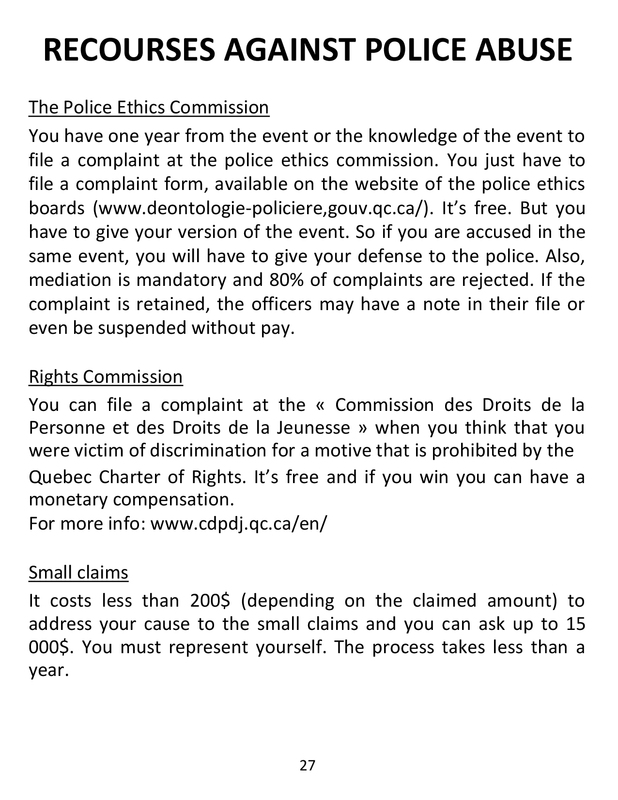 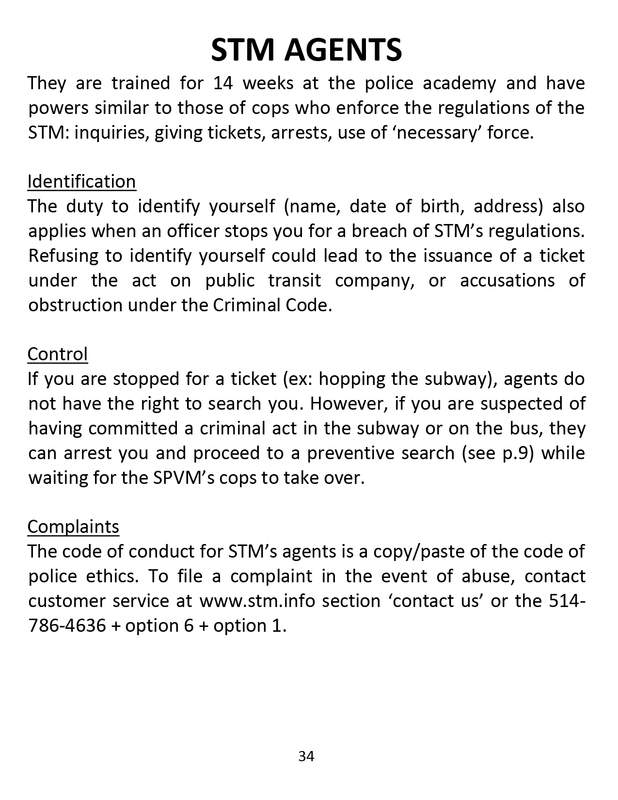 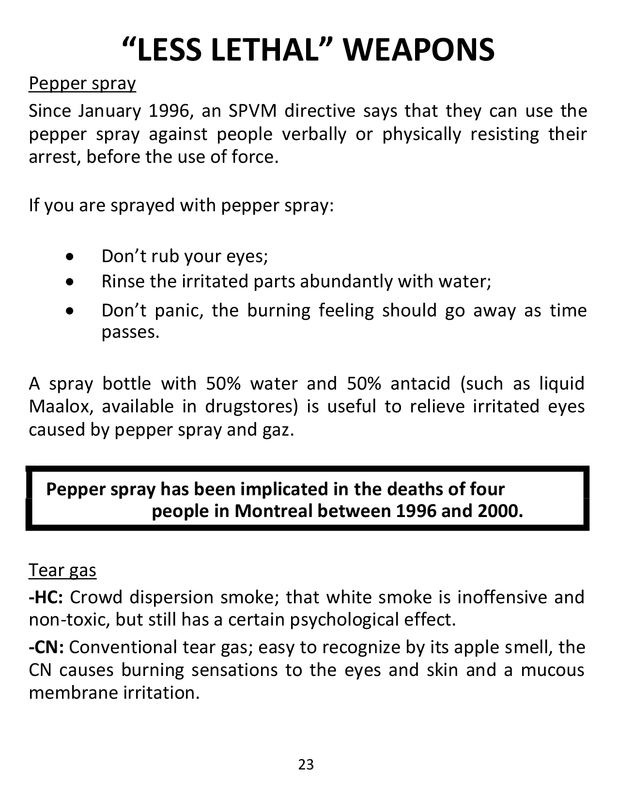 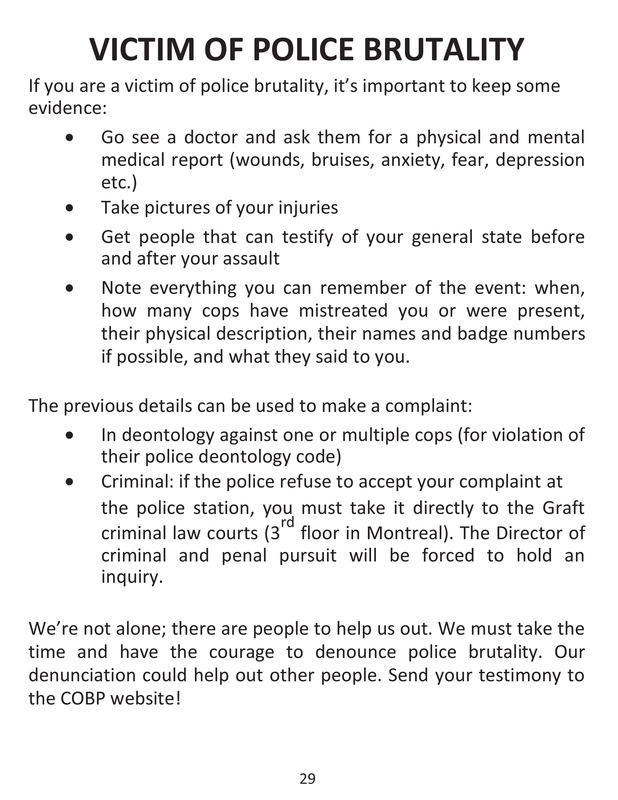 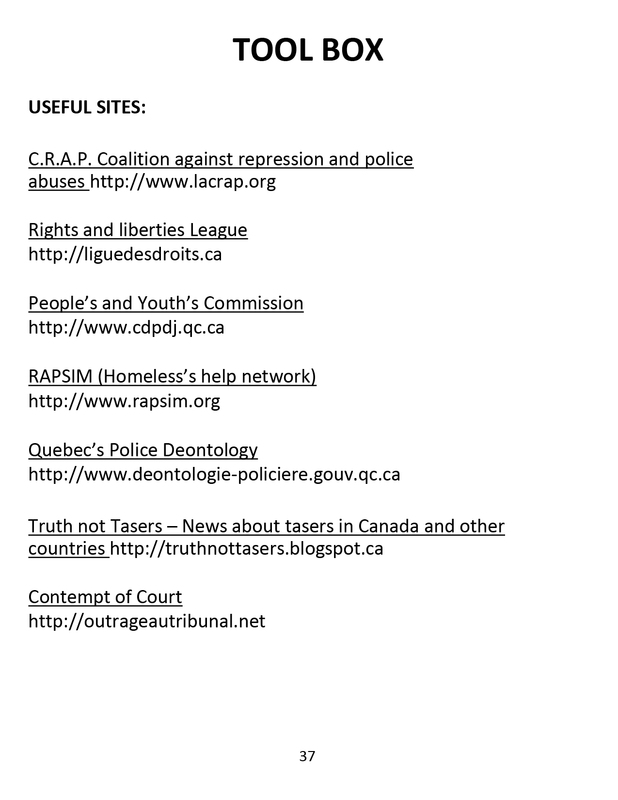 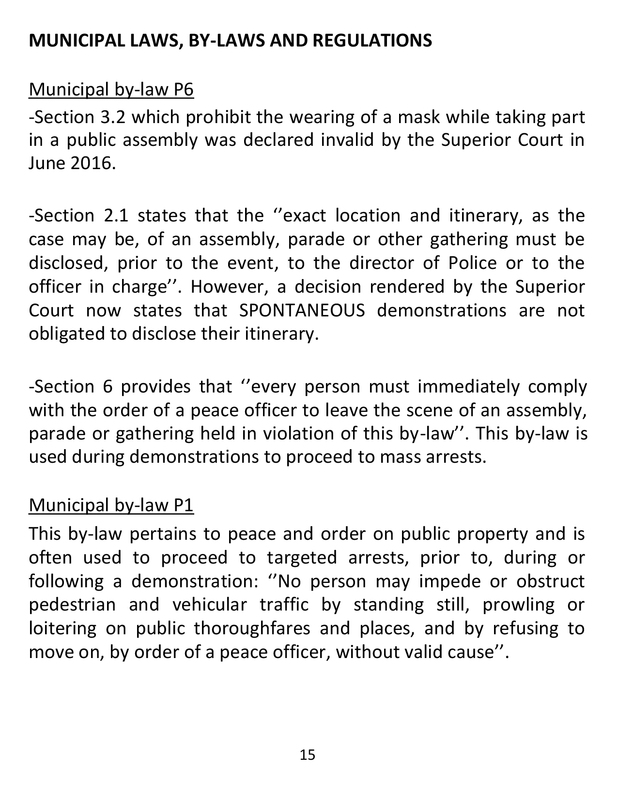 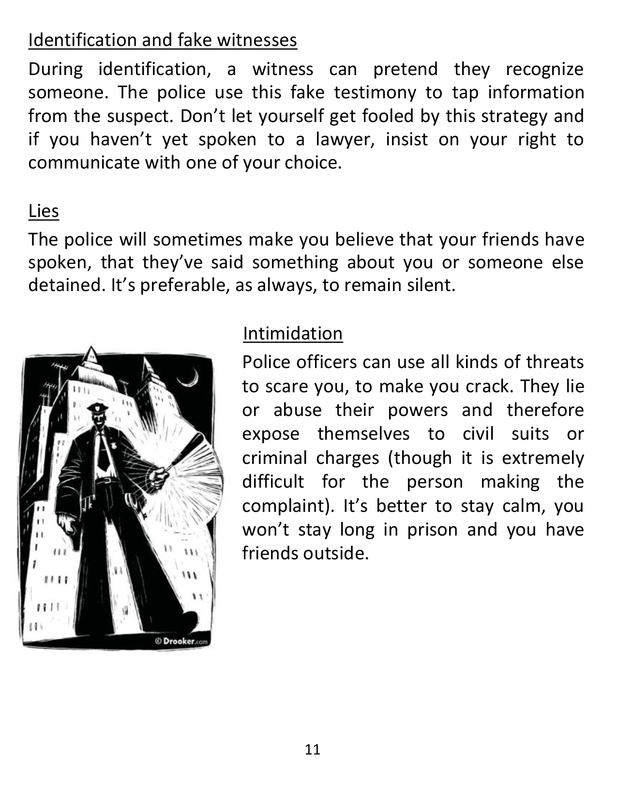 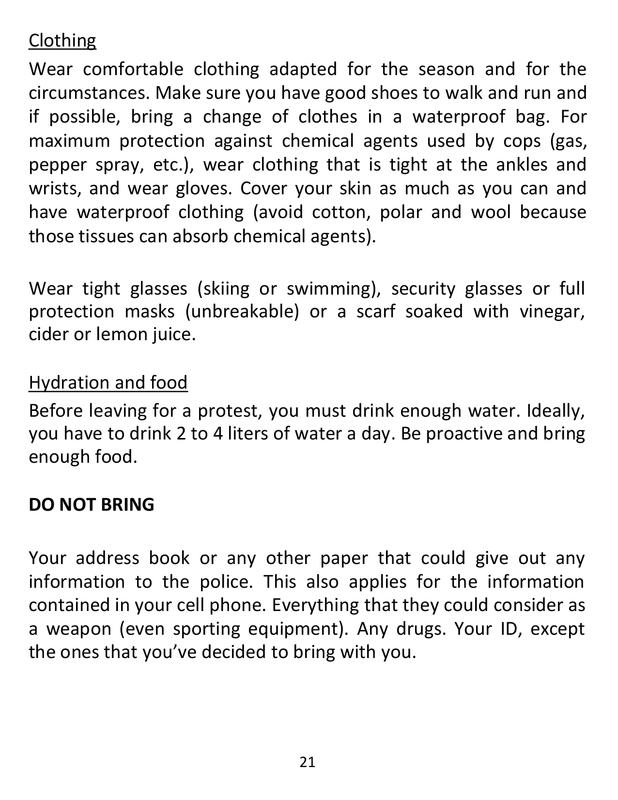 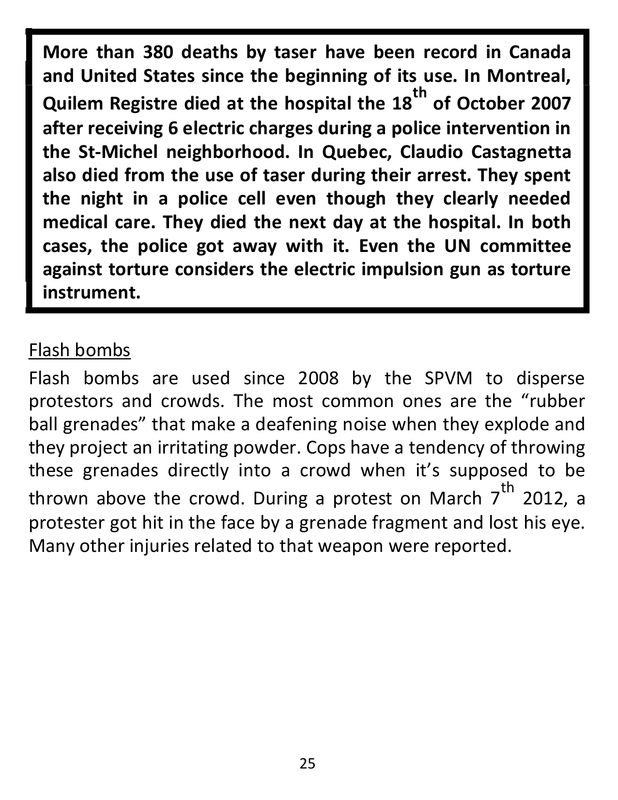 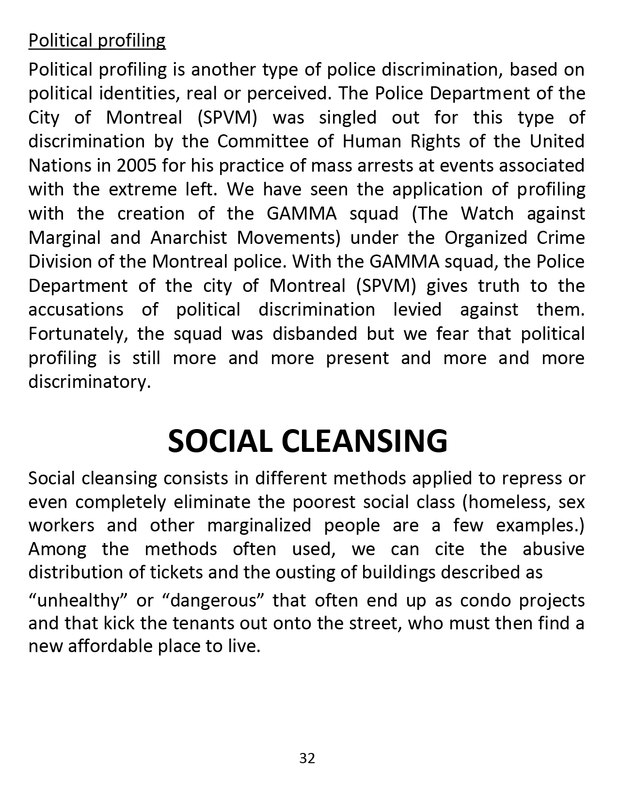 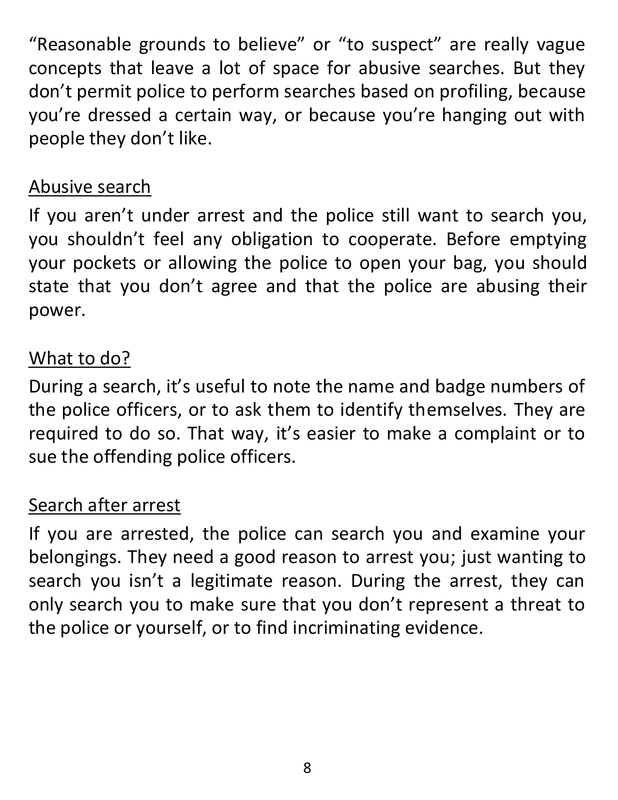 These informations are always inspired by Canadian laws , codes and regulations that applies to the police in Quebec. 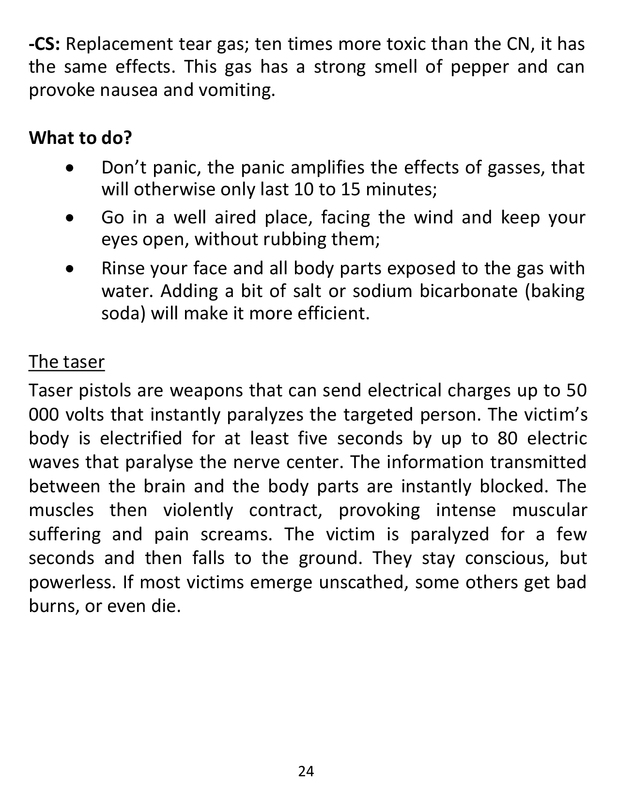 This pamphlet can help alot, so it's handy to have it with you.